This album features 11 tracks from the soundtrack to The Woman and the Canvas; a collaboration between Theatre Re and Fourth Monkey Actor Training Company that was performed at the Edinburgh and Camden fringe festivals in 2018. The album can be downloaded and streamed in full from the Theatre Re Music Glue webpage. This album features 10 tracks of music from the Theatre Re show The Nature of Forgetting, which toured South America and the UK in 2018 with further tours planned for the USA, Europe and Asia in 2018/9. The album can be downloaded and streamed in full from the Theatre Re Music Glue webpage. This album features 8 tracks of music from the Theatre Re show Blind Man's Song, which toured the UK and Europe in 2015/6. The album can be downloaded and streamed in full from the Theatre Re Music Glue webpage. This album was commissioned in 2013 by leading book coach Mindy Gibbins-Klein, with the intention being to compose music that would assist aspiring authors to come up with better ideas. What happened next was a collaborative project lasting six months, during which time this album evolved and finally emerged. 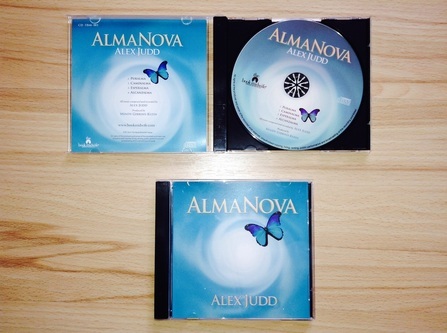 AlmaNova is available to purchase here.